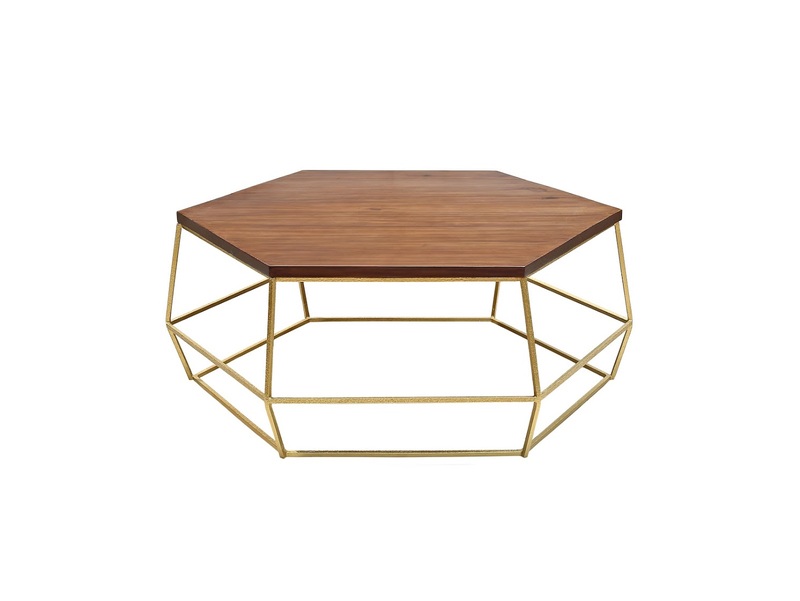 Description: Give your living room a contemporary look with this hexagon shaped coffee table. The table top is constructed from wood making each piece unique and full of character. 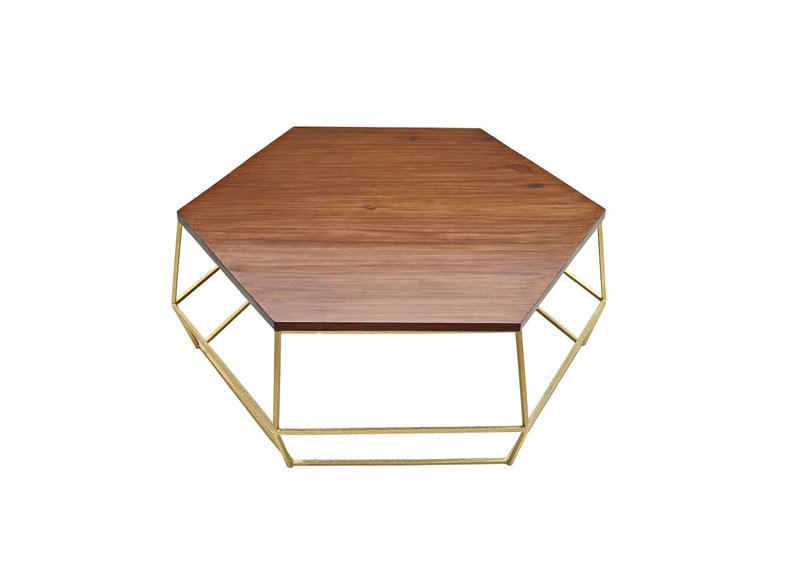 The table has a iron base giving it a light feel with a modern design, a perfect choice for any interior.